Accra, April 30, GNA - The Minister of Education, Youth and Sports, Mr Kwadwo Baah-Wiredu has said that government recognises the private sector as dependable partners in the development of sports. He said since sports is a very expensive enterprise it should be the responsibility of both the public and private sector to collectively provide the necessary infrastructure, kits and funds for the training and participation of sportsmen and women in competitions. Mr Baah-Wiredu said this at the launching of the Ghana Olympic Committee's fund raising drive towards preparations for the Athens 2004 Olympic Games in Athens, Greece. The Minister said Ghana has fully embraced the ideals of the Olympic Movement and has continued to participate in the Olympic games since the colonial times except the Moscow Olympic. Mr Baah-Wiredu said considering the magnitude of the Olympic Games as the most important sporting event in the world, the total of three medals Ghana ahs won since her participation in the games should be glossed over considered insignificant. He said, " We in the Ministry acknowledge the importance of our participation in international games, particularly the Olympic Games. We know how Ghana's participation in these games helps to raise the spirit and psyche of our people especially when we return with medals." The Minister said it is for this reason that the Ministry is giving its full backing to the launch by the GOC to enable the sportsmen and women to prepare well not only to participate in the Athens Games but also to make an impact. Mr B.T. 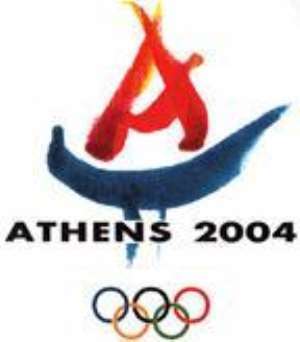 Baba, President of the Ghana Olympic Committee in an opening address said for the first time since the revival of Modern Olympics in 1896, the Games is going back to Athens in Greece where it originated. He said the spectacular Games would see 10,500 athletes from 201 National Olympic Committees competing for laurels and Ghana being a regular participant needs all the assistance to make their appearance have a positive impact. Mr Baba said it is refreshing that the Black Meteors who initiated the African renaissance in the Soccer event have this year qualified for the Olympics and it is the hope of all that they will emulate the shining example of their predecessors by winning the ultimate prize. He said however that the determination of the sportsmen and women to win medals at the Games can only be achieved through the provision of resources to enhance their preparation and that they are sufficiently motivated. The President announced other activities lined up to raise funds for the Games to include a GOC official Fund raising to be launched in Kumasi in May, Special Olympic Night with the sportsmen and women and Olympic Dinner Dance in July. He said other activities are Olympic Riffle Draw to be organised with Sports One Network on May first, display of Donation boxes at commercial Centres, musical performance by TIC TAC at the National Theatre and La Beach on June 26th and 27th. Special awards were presented to sponsors of the Olympics made up Guinness Ghana Limited, Coca Cola Ghana Limited, Nestle Ghana Limited Bamson Paints Company Limited, Standard Chartered Bank, Ghana Cocobod and Ghana Breweries. The rest are Forewin Ghana Limited, National Investment Bank and DHL Ghana Limited.